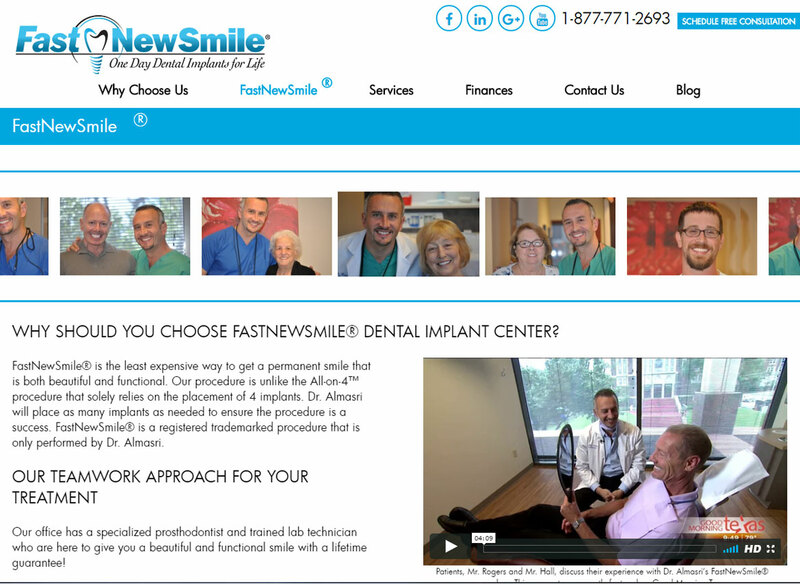 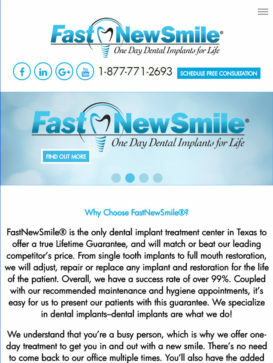 FastNewSmile® is the only dental implant treatment center in Texas to offer a true Lifetime Guarantee, and will match or beat our leading competitor’s price. 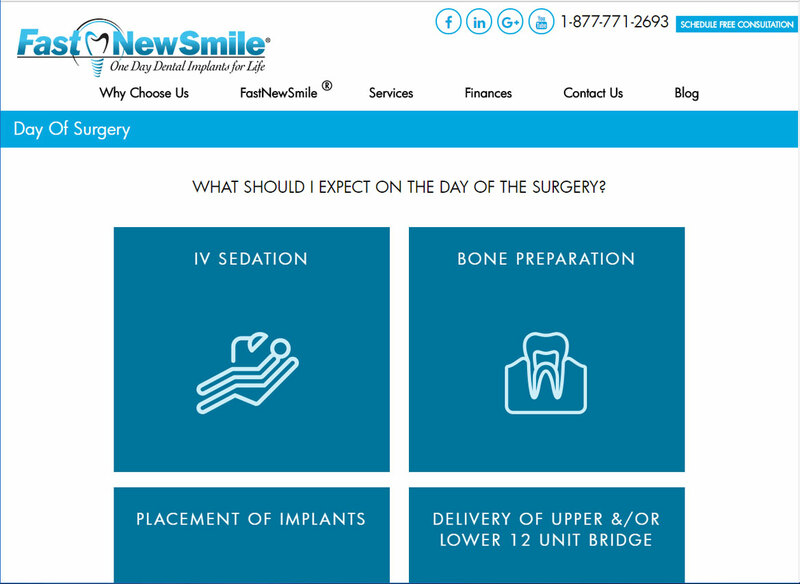 From single tooth implants to full mouth restoration, we will adjust, repair or replace any implant and restoration for the life of the patient. 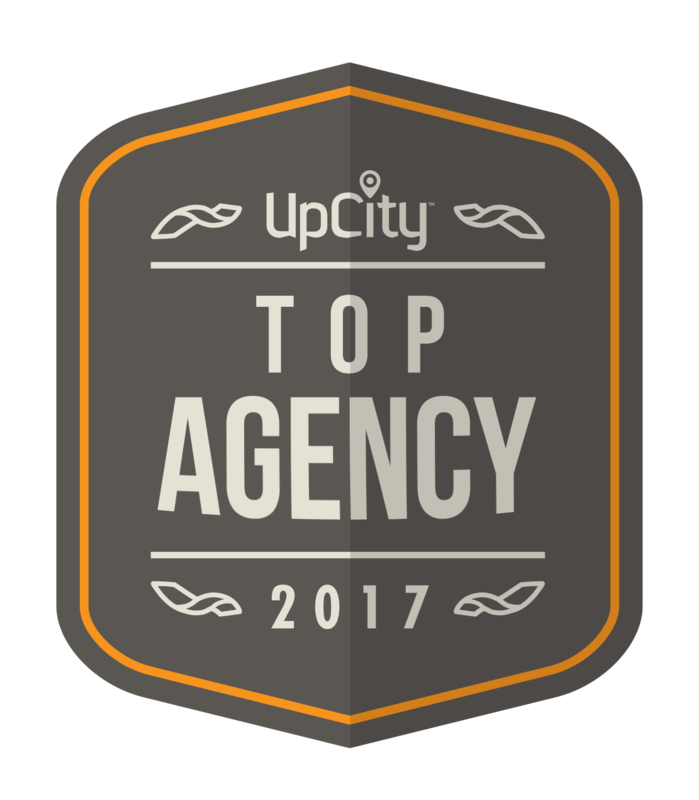 Overall, we have a success rate of over 99%. 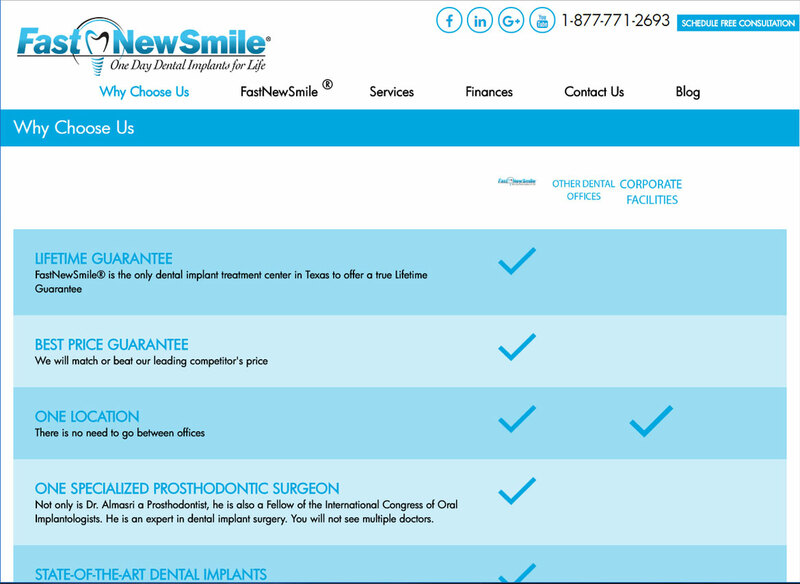 Coupled with our recommended maintenance and hygiene appointments, it’s easy for us to present our patients with this guarantee. 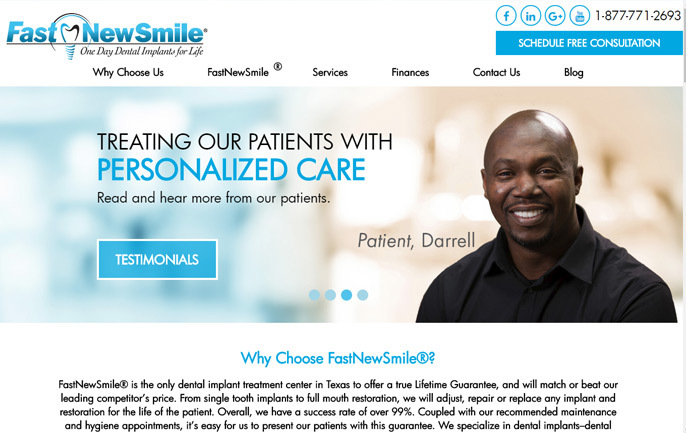 We specialize in dental implants–dental implants are what we do!